In our previous blog, we explained in detail what you should do if you ever discover a fire in your home. In this blog, we’re going to explain the easiest and most effective ways to prevent fires in your home. Though we’ve briefly addressed this topic in a previous post, we’re going to expand on the previously noted points and give you some new tips. 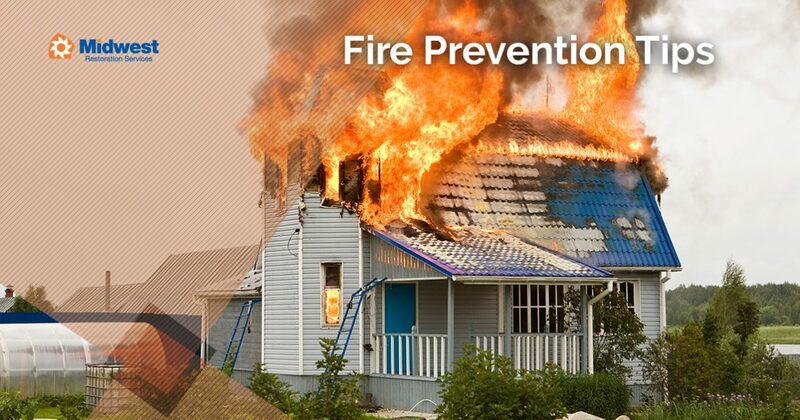 If your home has been affected by fire damage, Midwest Restoration Services can help! We offer award-winning fire damage restoration services in Batavia, Illinois, for both residential and commercial properties. Contact Midwestern Restoration Services today to learn more. Damaged wiring is one of the leading causes of house fires, and regularly examining the wiring in your home can help you prevent a disaster. You should always examine the wiring behind your television, in the garage, and in other areas of the home that can easily go unnoticed for long periods of time. Wires can fray and become damaged over time, making unattended areas a prime location for fires. This point is particularly important if your home has an insulated attic, as loose insulation and damaged electrical wiring provide the ideal conditions for a fire. Many homeowners find electrical cords in the home to be an eyesore, and cords in high-traffic areas of the home are often covered by rugs or carpeting. While this can be a tempting way to maintain the aesthetic appeal of a room, rugs and carpeting provide an immediate source of fuel if a wire suddenly catches fire. 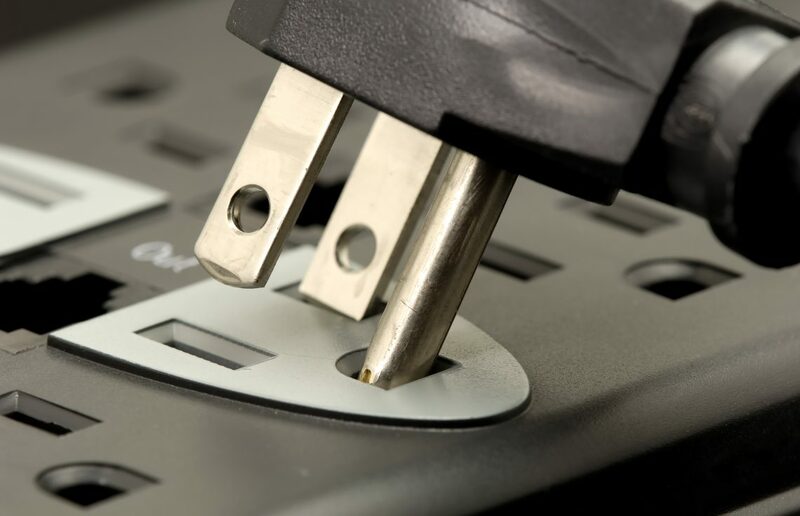 Products specifically designed to cover electrical cords can be a great way to hide the appearance of cords in the home without compromising your safety. Have you ever started on your commute to the office, only to suddenly find yourself wondering if you turned off the stove? 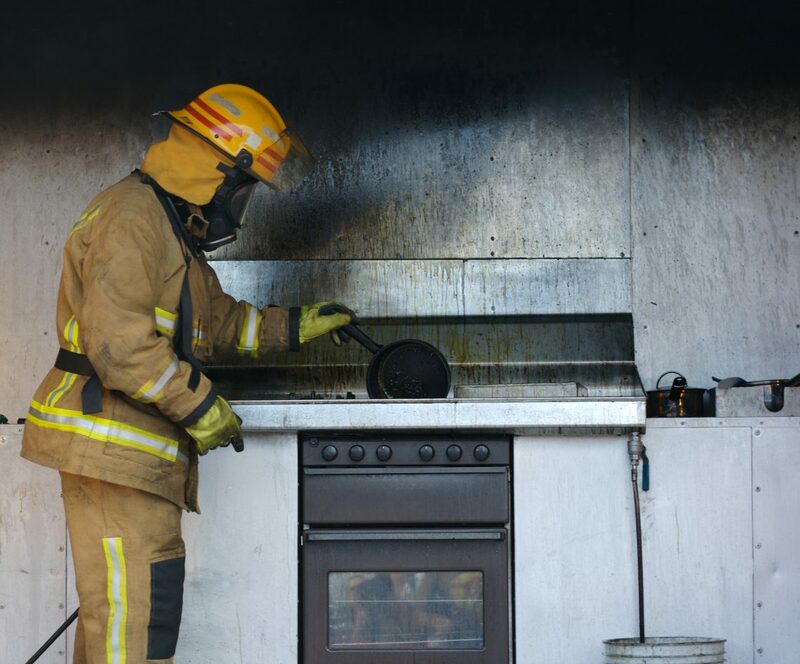 Worrying that you have left an appliance on in the kitchen is a terrible feeling, especially when you consider that cooking is the leading cause of fire damage in American homes. Even if you’re at home cooking, the kitchen is the most vulnerable area of the home. Grease accumulation on the stove can quickly ignite under the right conditions, so it’s important that you maintain a clean kitchen (your family and roommates will thank you, too!). Always keep a fire extinguisher in the kitchen, and remember to never attempt to put a grease fire out with water. While cooking-related appliances are the leading cause of fires in the home, other heat-based appliances such as straightening irons, space heaters, and dryers can all cause fires as well. Always be sure to unplug your appliances when you’re done using them, and make sure that both your dryer and the area behind it are free of lint before each load. In an article published in 2015, the British Broadcasting Corporation broke down the causes of nearly 12,000 home fires in the United Kingdom, and some of the findings may surprise you. While you might expect that clothing irons would cause a fair share of fires, it turns out that washing machines caused fourteen times more fires than irons! Faulty circuit boards and damaged wiring is usually to blame, and having your appliances regularly inspected by a professional can help you prevent unexpected fires. If your home has a fireplace and chimney, it should regularly be inspected and cleaned by a member of the Chimney Safety Institute of America. A certified expert from CSIA can give you individualized guidance on how you should use your chimney, especially during winter. You should also regularly examine your fireplace for signs of damage or deterioration. Mesh screens and glass coverings should always be intact and free of cracks and tears before you use your fireplace. Check to make sure that you’re not burning woods that pop when burned, as certain kinds of wood can easily spark fires in the surrounding areas. When you’re finished using your fireplace, wait until the fire has completely cooled before removing the ash from your fireplace, as hidden pockets of heat can easily spark a fire during or after you’ve transported them from the fireplace. We hope that these tips will be useful to you, and we will revisit this topic regularly in later posts. If your home has been damaged by smoke or fire, Midwest Restoration Services can help! We offer fire damage restoration and smoke damage restoration in Illinois – contact us today for a free estimate!